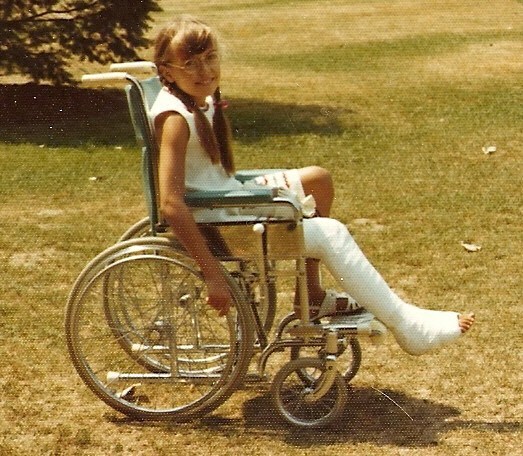 When I was nine years old, I broke my leg and had to wear a thigh-to-foot cast for most of the summer. Needless to say, I was terribly upset. I couldn’t swim, couldn’t run, couldn’t go to Brownie camp – all the things that make life worth living when you’re nine years old. Despite my distress, my parents repeatedly told me how brave and patient I was being, and it was some consolation. After all, I told myself, most kids would have been bratty crybabies. What I didn’t realize for another thirty-something years was that they had been applying a psychological principle variously called the “attribution effect” or “image induction” or “social labelling” – and it had worked. This principle was demonstrated as early as 1975 when Richard Miller, Philip Brickman and Diana Bolen studied ways to encourage fifth graders not to litter. One class was told over eight classroom days how neat and tidy they were through a variety of comments by the teacher, the school principal and the cleaning staff. Another class was told in similar ways how important it was that they were neat and tidy. A third class (the “control group”) wasn’t told anything in particular on the subject. You guessed it: the kids praised for being tidy were tidy. Immediately after the eight tidiness-talk days, the first classroom had an 80% litter-disposal rate, compared with less than 50% for the second classroom and less than 30% for the third. Two weeks later – during which there was no classroom talk about tidiness – the first group of kids had increased their litter disposal even more, but the second group’s rate had dropped. The researchers tested the technique again with math skills and found the same effect: telling second graders that they were good at arithmetic improved their math test scores both immediately and two weeks later. Interestingly, telling the kids that they were good at math and telling them that they were hard workers at math were both effective. Many other studies have supported the truth of this principle. Tell children they are unusually generous and they’ll give more to their schoolmates when an opportunity arises. It works on adults, too: tell them they’re kind and they’ll be more likely to assist someone in need. Tell them they’re helpful and more of them will volunteer for a food drive. The applications are obvious: when you see someone doing something you want to encourage, praise them for being the kind of person who does that. It works on groups as well as individuals. Praise gives us something to live up to. As well as encouraging behaviours you observe, you can inspire new behaviours. When people interviewed the week before an election were told they were “above-average citizens” and likely to vote, more of them did, in fact, vote. There are limits, of course. This technique works best when the people involved have already done something that matches the new label you hope to apply. It is also more likely to work if the new label is consistent with the way people already view themselves. Don’t try telling libertarians they really understand the importance of big government. Don’t try telling cats they’re obedient, either.